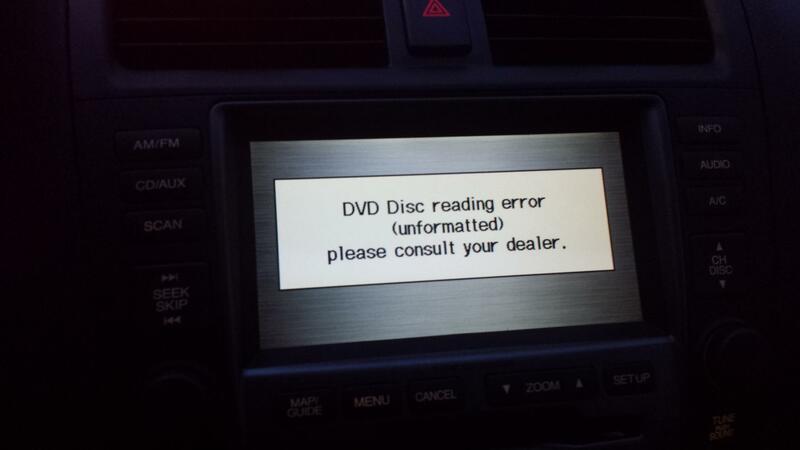 Hey guys, I'm getting this error message on my Navigation System. Can someone tell me what it is? When I start my car and start driving, my navigation system works fine, after about 10-15 minutes, I get this error message. Anyone else experiencing this problem? First for me but that's not to say it isn't more common. Did you fix it? If so, What did you do?